2 images. Women in the Air Force -- Colonel interview, 1 April 1952. 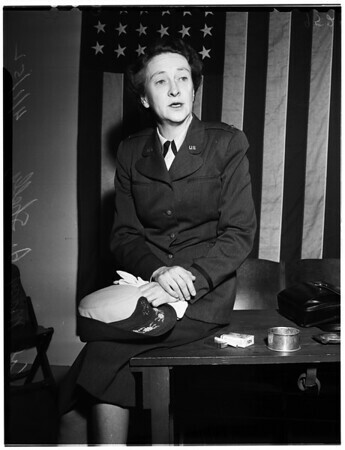 Colonel Mary J. Shelly (Director of the Women in the Air Force).